There are some happy good news for you. Bonnie adopted into a loving family. 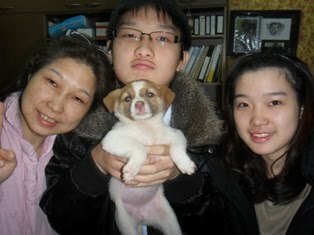 Little Hsin Tien puppy adopted into a loving family. 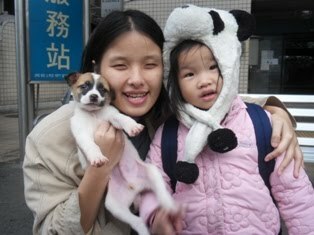 Male Hsin tien puppy adopted to a loving family and he even gets a new sister too. We can’t make these without all your help. Every small help you offer are soooo important for these furries. Please keep support us. 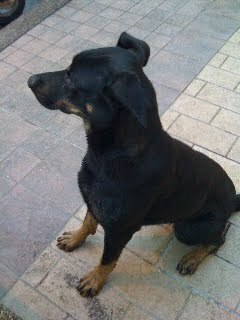 A nice lady, Joanne, found this pretty dog on the road on Valentine's day. The sweetest gift she think anyone would like. She is now looking for a loving and caring home for Joy, where she can pass on the same joy she gave me. Anna was brought from MR. Jia's dog market. She was shy and scared when she got here. But now, she has improved a lot, to the point where we can trim her nails! This picture shows our volunteer trimming Anna's nails. We would give Anna treats after we've finished trimming her nails. This picture shows our volunteer training her to walk on her leash. This picture shows Sophie willing to let us hug her. Sophie is one of the dogs from Mr. Jia's dog market as well. Like Anna, she was very shy. It was a big hassle last time when we tried to give her medicine bath. But look at this clip, Sophie is now a happy dog!